Welcome to Plumber Rialto our team are on hand for all plumbing emergencies and general plumbing works you may have. We offer a quality and professional 24/7-365 emergency call out plumbing service across the county. Our work covers many aspects of plumbing and heating. This could be installation to repairs, burst pipes to dripping taps and boiler servicing. From a small job like fixing a broken toilet to the full replacement of a central heating system. Whatever this problem our team of Rialto Plumbers fix it. If you have an emergency one of our team can be at your property within the hour day or night, we guarantee that. 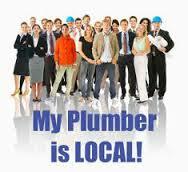 About your local team at Plumber Rialto. Our aim at is to provide our clients with a complete plumbing service. Everything we do is of the highest quality. We only use the best quality parts and equipment and we will always leave your property as clean and tidy as we found it. We honestly believe that we provide the best value for money plumbing service in Dublin and probably in the Republic of Ireland. Our clients expect us to be punctual, polite and to do an ultra professional job. We make 100% sure we don’t let them down. All of our staff are fully qualified, R.G.I. registered and covered by full private and public indemnity insurance. For peace of mind plumbers Rialto guarantees every job it undertakes If in the unlikely case of a problem we will promptly send one of our team (usually the person that originally attended) to come and fix it free of charge. This ensures that all of the customers of plumber Rialto can sleep soundly in the knowledge they have a professional company working for them. Unlike the majority of plumbing companies, we operate completely transparently. We always make our clients fully aware of our rates when we quote or when they book a job. We do not charge for call outs, traveling, “sourcing parts” or have any other hidden charges. This approach has been a large part of the reason we have gained such a great reputation over the 30 years that we have been trading in Dublin. If you need a plumber in Rialto, call us today on 01-2844921.